After years of scientific studies conducted by Arena Pharmaceuticals, the US Food and Drug Administration (FDA) approved the use of Belviq, the first weight-loss drug approved by the federal agency since more than a decade ago and which can also help people with excess weight and obesity, offering additional benefits to people with Diabetes, as it decreases body fat, increase cell sensitivity to insulin and decreases blood glucose levels. Lorcaserin, which will be sold under the Belviq brand, was approved to be used responsibly in combination with a healthy diet and lifestyle, providing an extraordinary therapeutic option for obese or overweight people, and those with health problems related to body weight, such as Type 2 Diabetes, high blood pressure and high cholesterol. In a study published in the New England Journal of Medicine, the results showed that about half of obese people who took lorcaserin (Belviq), decreased their body weight by at least 5% during the first year, in comparison to a 20% (less than a quarter) of those who dieted and took placebo pills. On the other hand, 20% of participants using Belviq decreased their body weight by more than 10%, in comparison to only 7% of the participants who took placebo pills. Belviq (lorcaserin) works by acting directly on the brain area that regulates appetite, known as Serotonin 2C receptor. This is the same hormone that “controls appetite” influenced by Fenfluramine, which was the “fen” component, one of the two components of the famous diet drug Fen-phen from the early 90’s, which was associated with potential heart valve problems in a third of people who used it and was thus recalled. How safe it is to take Belviq? “Belviq is much more selective and safer than Fenfluramine, because it acts directly on the serotonin receptors associated with hunger,” said David Schull, spokesman for Arena Pharmaceuticals, and in the 2 year study, heart valve irregularities were monitored, which may occur among participants who took Belviq and no change was detected in their heart valve functioning. However, in October 2010 the FDA rejected approval of lorcaserin (Belviq) due to its possible risks for tumor formation or cancer, because previous studies in laboratory rats showed certain tumors. Arena again requested approval of Belviq, providing additional data that showed that previous tumors found in rats didn’t happen in people, which seemed to decrease the FDA’s concerns. In May, an FDA advisory panel recommended approval of lorcaserin (Belviq), arguing that its benefits outweigh its risks, despite mentioning some concerns about possible heart risks. When approving Belviq, the FDA demanded Arena Pharmaceuticals to conduct 6 additional studies, after releasing it into the market, including a long-term trial to ensure no heart attacks or strokes occurred in those who consume it. Belviq from Arena Pharmaceuticals was approved only for use in adults with a body mass index (BMI) of 30 or more who are considered obese, or adults with a BMI of 27 or more, i.e. overweight, who also have at least one medical condition related to body weight, such as hypertension, Type 2 Diabetes or high cholesterol levels. Belviq can’t be used by pregnant women. 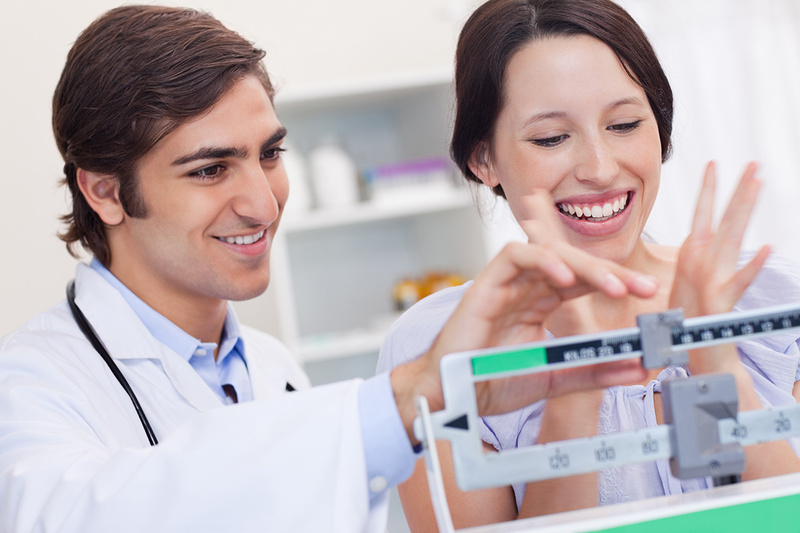 BMI is a body fat measurement that relates a person’s height and weight. Vivus and Oxigenc compranies are waiting for their diet drugs to also be approved by the FDA to be released to the market. The benefits Belviq offers… do they really outweigh the risks? 66% of the US population is overweight, and half of them are obese, which is why the federal agency has been under great pressure to approve a new weight loss treatment. Excess weight and obesity are major risk factors for developing Type 2 Diabetes and are responsible for people with Diabetes to not be able to achieve adequate control of their blood glucose levels by increasing cell insulin resistance. Poorly controlled diabetes is the leading cause of blindness, kidney failure and non-traumatic lower limb amputation. People with uncontrolled diabetes are more than twice as likely to have heart attacks and strokes. “Obesity threatens the overall welfare of patients and is a major public health problem,” stated Janet Woodcock, director of the Centers for Drug Evaluation and Research, FDA. Excess weight and obesity have become, along with Diabetes, the greatest epidemics in the history of humanity and every day these more strongly affect children and adolescents, causing serious damage to the body which includes cardiovascular disease, hypertension, atherosclerosis, heart attacks, strokes, colon cancer, partial or total disability and premature death among those affected. At Diabetes Up to Date, we expect these drugs to not represent any risk for overweight or obese people who need them, and hope that drugs which are safer and with less risk of side effects will soon be released to the market.